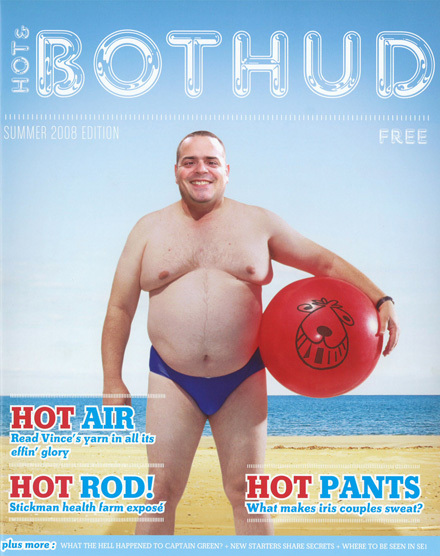 Joanna Lumley from Absolutely Fabulous showed up today at iris for the launch of the summer edition of Bothud. We’ve been searching for a creative director for digital for as long as I can remember. We’ve met with tons of candidates, and none of them were right. None had the right mix of experience, raw talent, passion and entrepreneurial drive … None of them, that is, until we met Tori Winn. Tori has joined iris Digital to take on the world and help take our creative team to the next level. In addition all things digital, Tori will be working closely with Sean, Shaun, and Grant to define and refine the way we deliver world-class campaigns. Before joining the Nation, Tori was executive creative director of Interactive at StrawberryFrog, where she oversaw the digital and creative development across multiple integrated campaigns for clients that included Toyota, Microsoft, Foster’s, Hyundai. Prior to that, she was the creative lead at AKQA looking after all aspects of the agency’s largest account, Orange. 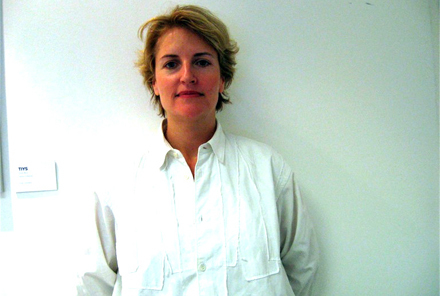 From 1999 and 2002, Tori was creative director at Agency.com NY. Here’s what Campaign had to say. Needless to say, I'm thrilled to have her with us. Apparently, the newly launched search engine and Google competitor Cuil is pronounced "cool". For now, I pronounce them "down due to too much traffic" and a longshot with interesting technology. The super-stealth search project was founded by highly respected search experts. Husband and wife team Tom Costello (CEO) and Anna Patterson (VP Engineering) were joined by Russell Power. Patterson and Power are also ex-Google employees, and the company has been the subject of intense speculation over the last couple of years. Much of the secret sauce of Cuil is in the way they index the web and handle actual queries by users. Both are costly to scale, and Cuil claims to have found a way to massively reduce those costs. That allows them to run the search engine a lot cheaper, even at Google-scale should it ever reach that point. By some estimates, Google spends a billion dollars a year to run the back end infrastructure of it’s search business. We'll see, I guess, when they're back up and running. Buzz turned into a box office bonanza as Batman scored a record opening in the USA. The film raked in $158.4 million dollars, crushing the previous North American box-office opening record of $151.1 million held by "Spider-Man 3", industry tracker Exhibitor Relations said. The latest Batman flick, the Dark Knight, “rewrote the box-office record books last weekend as audiences flocked to see late actor Heath Ledger in his last completed film role, figures have shown,” says Agency France-Presse. Heath Ledger's stunning performance has grabbed the headlines, and it is impossible to separate the tragic circumstances of the actor 's death from the fascination with the film. That said, it is important to remember how much buzz the film's release had been generating all along. The leak of 5 minutes of the film and the sustained viral activity have certainly played an important role in growing word of mouth and interest for the past several months. The film benefited from a unique mix of factors beyond the usual superhero movie hype, including a buzzed-about performance by the late Heath Ledger as the Joker, perfectly pitched marketing, agile distribution and gas prices that have made a night at the movies an attractive alternative to a summer road trip. It also helps that The Dark Knight, as most critics and audiences attest, is a very good film. Most blockbusters are built on first-weekend hype that quickly falls off as new films arrive in theaters, but audiences are spreading good word of mouth and, in some cases, returning to see the film on IMAX screens. Whether there'll be enough returns to put The Dark Knight in all-time box-office territory remains to be seen. But Hollywood appears to have its box-office superhero for 2008. Analyst Jeff Bock said "I think you have to credit this to a large extent to Heath Ledger," Bock told AFP. "Since he died there has been a tremendous amount of anticipation about Heath's performance." Even the Heath Ledger Joker dolls are flying off the shelves. Holy $66 Million Debut, Batman! I liked this. Made me feel like a kid again. For me, it was "cookie starts with C" and the Count. Here's a band I really like helping with the number 4. Thanks to Bill and Swiss Miss for the spot. Remember iPod and iTunes and what it did to the music industry? Well, say hello to iPhone and the App Store. Fancy a bit of mobile? Despite the queues in front of their stores, the big news from Apple this week is not the launch of the iPhone 3G. 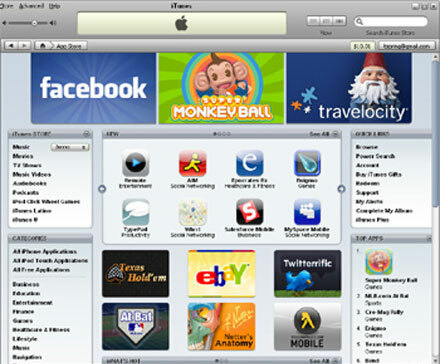 It is the launch of the iPhone App Store which lets people install 3rd party applications as easily as using iTunes. The reason why the App Store is truly a iPhone's killer app is the way it helps people buy. They've made it simple. They've made it intuitive. 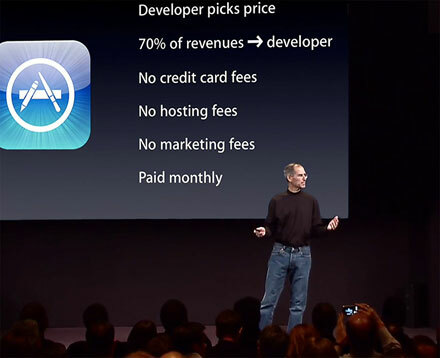 And most importantly, they're making the App Store an integral part of owning their product. Once again, Apple is doing more than selling products ... They're creating platforms, influencing behaviours and attacking entire categories. So let's see ... A product with an exceptional form factor paired with an innovative sales and distribution platform. If this all reminds you of the iPod and iTunes, it should. There is one big difference, however, and that's the addition of the developers community. 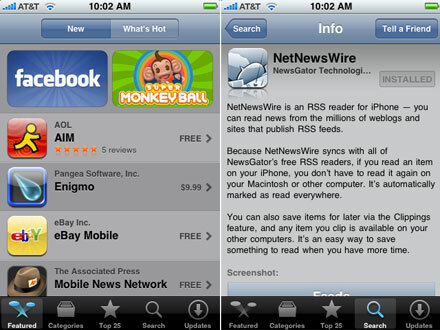 As part of the iPhone 3G's launch, there are more than 500 native applications available at the App Store, and over 125 of them are free. (Source: Apple press release) Since the launch this week, the developer community is flooding the place. The competition may argue that open platforms, such as Google Android and the soon-to-be-open-source Symbian platform are fundamentally better positioned to create and distribute mobile applications, but I'm not so sure. Is this the case where a closed system wins by providing a better user experience? I love a good leak. Don't you? Even with crap sound and poor quality, the film looks to be damn good, doesn't it? In December 2007, the same footage was leaked on YouTube, then disappeared from circulation. There was speculation that the first five minutes of the film would appear before such films as I Am Legend as a trailer, but the footage available online appears to be recorded on a handheld video recorder and is not officially sanctioned. By the way, that marks the first time I've ever linked to Mahalo with something positive to say ... The only reason why I saw this it is because Jason posts articles on Facebook. Nicola sent this link around today, and I think it is fantastic. The Crussh Smootie Lab is a case study in “helping people buy”. I mean, ffs, they’re helping people buy smoothies using digital to engage, entertain and push to retail. Picture perfect retail activation via digital. 1) I’d have made it easier than using a drop-down to find the retail location. A Google mash-up using post codes would have been very easy. 2) It could use sound … Blending noises. Cute sounds of fruit dropping into the blender. Maybe shop sounds. Music. And so on. 3) Having signed up for their newsletter, I’m really hoping that they send me my personal recipe and the store address … So far, nada. This brings to mind 2 other classic blending projects: Will It Blend, presented by Blendtec and the Joesterizer 10 Speed Frog Blender 2000. They're both hilarious. 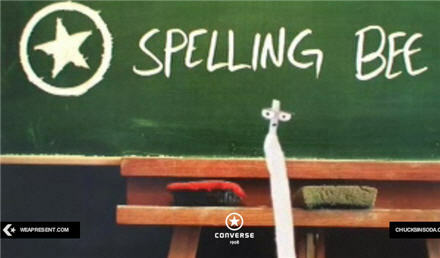 Converse has a strong history of doing cool, artsy-related web experimentation. Last time, it was The Converse Gallery, a project that allowed consumers to submit a 24 sec film (not a commercial) about what Converse means to them. Here's a condensed version of the Contagious newsletter where I found this. Continuing a year of frantic activity to mark their hundredth anniversary, Converse has launched an elaborate web campaign featuring more than 20 microsites. The preferred footwear of creative departments everywhere has teamed up with agency model poster children Anomaly in New York to construct something akin to an online treasure hunt, in which participants are rewarded with increasingly odd content. This is a smart campaign, perfectly pitched to assist Converse’s community of wannabe slackers in the wasting of a lunch hour or two. It’s also a great example of a rapidly developing trend in online brand-building epitomised by the Titanium-winning UNIQLOCK. The brief? Create a stir. The target audience? Anyone and everyone. The point? Minimal. Just make something fun, and weird, and get people to pass it around. We have to say, we find this oh-fukkit approach seriously refreshing. It’s a strange truth that the industry still appears to be fretting over online metrics, having conveniently forgotten that one of the cornerstones of traditional advertising involves flinging a print ad into the ether once every six months and hoping for the best. However, change is a-coming. Whilst there’s still a place for aggressively focused one-off campaigns, the younger, hipper players are opting for more sustained exercises and eschewing the hard sell in favour of provoking chatter. This is bang on brand for both Converse and UNIQLO. We’d therefore like to offer a big thumbs up to Anomaly for having the balls to prize fascination over overt persuasion.